Which Rheumatoid Arthritis Treatments Work Best? Rheumatoid Arthritis (RA) is an autoimmune disease which causes the body’s immune system to attack joint tissue, causing inflammation and pain in the joint lining. Unlike other types of arthritis, which are caused by wear and tear of your joints, RA affects the lining of your joints and may eventually cause deformity. The inflammatory nature of the disease may damage other parts of the body as well. RA affects 1% of adults in the developed world, with women being affected 2.5 times more than men. It is most often diagnosed between 40-50 years of age, with onset in men later than in women. On average, RA reduces lifespan from three to twelve years, possibly due the chronic inflammation. The cause of RA is not yet understood by the medical community, but it is believed to be related to both genetic and environmental factors. It is diagnosed by x-rays of the affected joints and blood tests, in which the blood is tested for an antibody called the rheumatoid factor. Some other diseases and types of arthritis have symptoms similar to RA, so correct diagnosis is important. Rheumatoid Arthritis typically begins with signs of inflammation in smaller joints, such as those near your fingers and toes. The most commonly affected joints are those joining the fingers to the hands, the toes to the feet, and those in the cervical spine. The joints may become swollen and stiff, warm, and/or painful. Stiffness and pain may be worse early in the morning or after prolonged inactivity. Early morning stiffness typically lasts one hour. Symptoms of RA usually begin and worsen gradually over a period of weeks or months. While early Rheumatoid Arthritis symptoms may begin in smaller joints, as the disease progresses the symptoms may spread to the wrists, knees, ankles, elbows, hips, and shoulders. In most cases the symptoms are bilateral, or occur in both sides of an affected joint (for example, in both the left and right wrists). Severity of RA differs from person to person, and symptoms can also come and go within an individual. Periods of worsened symptoms are called “flares,” which may alternate with periods of relative remission when the symptoms decrease or temporarily disappear. Some case of RA cause symptoms outside of the joints in areas including the skin, eyes, lungs, heart, liver, kidneys, salivary glands, nerve tissue, bone marrow, and blood vessels. Over time, RA can erode and disform joints, and sometimes cause them to shift out of place. Progression of the disease is monitored by continued imaging, often x-rays, of the affected joints as well as tracking the severity of symptoms in affected joints. There is no known cure for rheumatoid arthritis, but newer classes of medications have been helpful in slowing the disease process, and various medications and lifestyle changes are associated with reduced pain and swelling. Many treatments, including supplements and herbal methods, require more research before they can be clearly recommended for those with RA, however many have reported symptom relief with alternative treatments. Patients should consult a doctor regarding any treatments for RA which may be of benefit to them. These drugs are currently the primary treatment for RA. DMARDs are a large group of drugs that can decrease joint damage, reduce pain and swelling, and improve joint mobility. They work best when started early in the course of the disease. Unfortunately, these drugs do carry a risk for many side effects, including toxicity of the intestines, lungs, liver, and kidneys. Those taking these drugs should be closely monitored for side effects. Some of these medications require frequent blood work to assess level so toxicity, and some patients are unable to take them. Non-steroidal anti-inflammatory drugs (NSAIDs) are often prescribed to reduce pain and stiffness in RA. Unlike DMARDs, they have no long-term effect on the course of the disease, but merely treat the symptoms. Since they have little effect on disease progression, NSAIDs are no longer the primary pharmacological treatment for RA. Like DMARDs, NSAIDs can cause side effects including intestinal, cardiovascular, and kidney problems. Long-term use of NSAIDs is not recommended. RA surgery may be recommended in patients who do not respond to medications or physical therapy, or who are debilitated to the point that daily activities become difficult. In the earlier phases of RA, surgery may be performed to remove the inflamed synovial lining from the joint. This surgery can reduce pain and swelling and may also prevent further joint damage. Severely affected joints may require joint replacement or correction of joint structure. This surgery also reduces pain and stiffness, but cannot slow disease progression. Some patients are not good candidates for surgery, and doctors will consider overall health factors and a patient’s bone density before recommending surgery. Both exercise and stress relief have been shown to slow the progression of RA as well as reduce symptoms. Practices such as yoga, Tai Chi, and Qigong have been shown to be beneficial for symptom relief. Exercise of any kind is beneficial for those suffering from symptoms of fatigue. Some research indicates that meditation can reduce the intensity of pain in patients suffering from arthritis. Adequate sleep is important for RA sufferers, as poor sleep worsens pain and stiffness. Those who suffer from RA may benefit from natural supplements, such as those including Omega-3 fatty acids (found in fish oil) and gamma-linolenic acid. There is some evidence that both of these may reduce pain, tenderness, and stiffness. 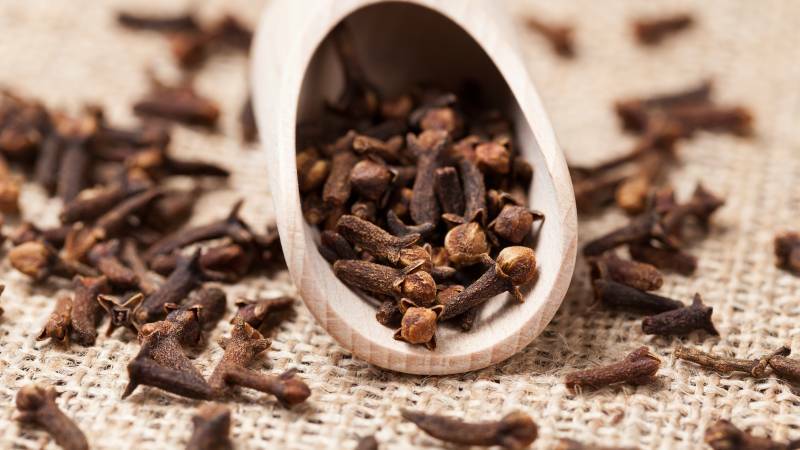 Cloves or clove essential oil contains strong doses of manganese, a mineral that may provide pain relief benefits to those suffering from RA. Other natural remedies under investigation for potential benefits to RA sufferers include boswellic acid, curcumin, devil’s claw, Euonymus alatus, and thunder god vine (Tripterygium wilfordii). Rheumatoid arthritis is a chronic disease that tends to progress and worsen with time, so early detection and treatment is important to properly treat and slow disease progression. Many symptoms of RA overlap with symptoms of other diseases and other types of arthritis, so only a physician can accurately diagnose RA. If you have signs or symptoms of RA including joint pain, swelling, or stiffness (particularly if it is worse in the morning), contact your doctor.